LONDON - Paul Weller has designed his first capsule fashion collection in partnership with Pretty Green, showcasing his enviable style as a British fashion icon. The first Paul Weller Collection For Pretty Green will have six limited edition items, all showcasing Paul Weller’s infamous personal style and sharp fashion sense. There has always been a huge demand for Paul to design his own clothing range and the high summer collection marks the start of a long-term partnership with Pretty Green. Paul has designed a fuller collection for A/W11 which will include a wider range of items including tailored suits, pea coats, knitwear, tees, shoes and accessories. 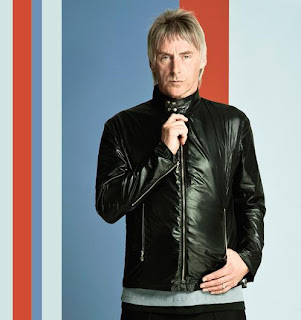 The first Paul Weller Collection for Pretty Green includes: a high-shine zip biker jacket (£175), a three-quartered length Indian linen shirt (£125), a luxurious Egyptian cotton long-sleeved t-shirt (£40), a statement tank top with satin trim (£30) and pleated silk scarf (£45). Paul Weller says: “I've wanted to design my own range for some time and Pretty Green felt like a good home for my clothes”. “The high summer capsule collection is a little taster of things to come as for Autumn, I have designed a much fuller collection". “I guess my main design reference is somewhere between '68 and '70. The clothes themselves sit between being smart and casual with quality materials and tailoring."